It doesn’t take a rocket scientist to work out exactly what you need to generate traffic to your websites! If you run an online business you need online traffic to build your business and generate revenue. Without traffic your business will fail as fast as the idea you had to start it. But all is not lost! 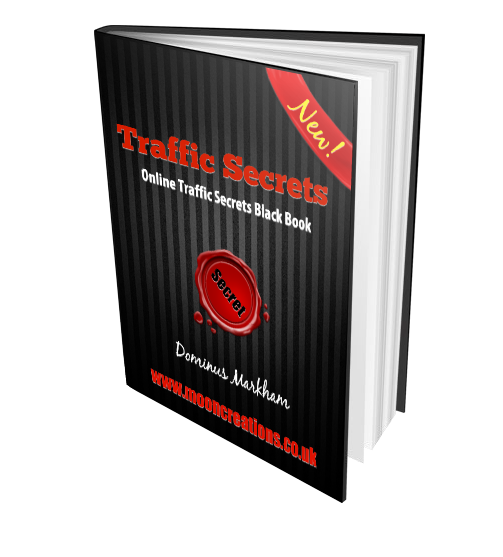 with “Online Traffic Secrets ” you can build as much traffic as you will ever need to run your business at it’s peak! In this revolutionary traffic report I describe proven methods and techniques that can massively increase the search engine ranking of your website. This report is not about traffic methods that don’t work or which explain to you about traffic methods that take hours and hours to implement. There are literally hundreds and hundreds of ways to create traffic to your websites but guess what? Only a handful of them truly give you the results you need and that is exactly what I am going to show you. When you take into consideration the time and effort put into this report, then you can assume that the price is going to be high. It’s easy to see from the time and effort spent, that this report could sell for at least $97 and turn a profit. However it’s not $97, it’s not $27! Today, for a tiny investment of $7! Yes $7 is all you will pay today for this amazing report which will increase your business and help generate further income for a long time to come.